This cute snowman has no idea what happens to snow in the summer, but that just endears him to us! With his cute carrot nose and haplessly loyal personality, Olaf absolutely adores Princess Anna and eventually her sister Queen Elsa. 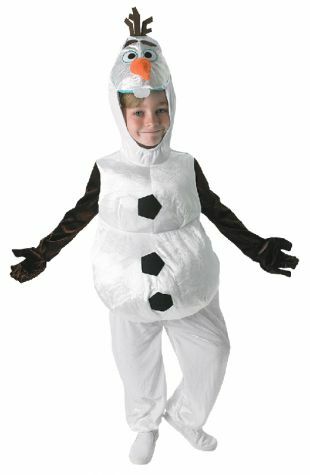 When your little cutie puts on this Olaf costume you'll be reliving the movie Frozen over and over and just hoping that your little snowman likes warm hugs as much as Olaf!